It’s never too late to start working out. Whether you’re a youngster or an adult, the best time to start is now! The gym can sometimes be an intimidating place. Other times, it can be boring—especially if all you’ve done are workouts on the stationary bike and the treadmill. There could be some machines that you’ve been missing out on. If you haven’t been on a rowing machine before, then you’re missing out on the best workout there is. For starters, you’ll have to find the best rowing machine for beginners. Your local gym will most likely have one for novices like you. You may also buy one for home use. This way you can do your workout any time you like. 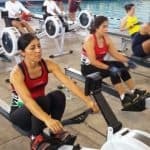 So what exactly is a rowing machine? If you’re not a fitness buff, chances are you may not know what it is, much less what it does.An indoor rowing machine simulates outdoor rowing. It is a low impact type of workout that makes your heart pump, enhances endurance,helps trim off fats, and tones muscles. A rowing machine for beginners is ideal for the young ones, as well as for adults who are just starting out. It’s also suited for people with joint or bone issues but who need to exercise nonetheless. Unlike jogging or running, rowing is non-weight bearing. It works out all major muscles in the body yet has a low impact on joints. How else can a piece of fitness equipment be better than that? 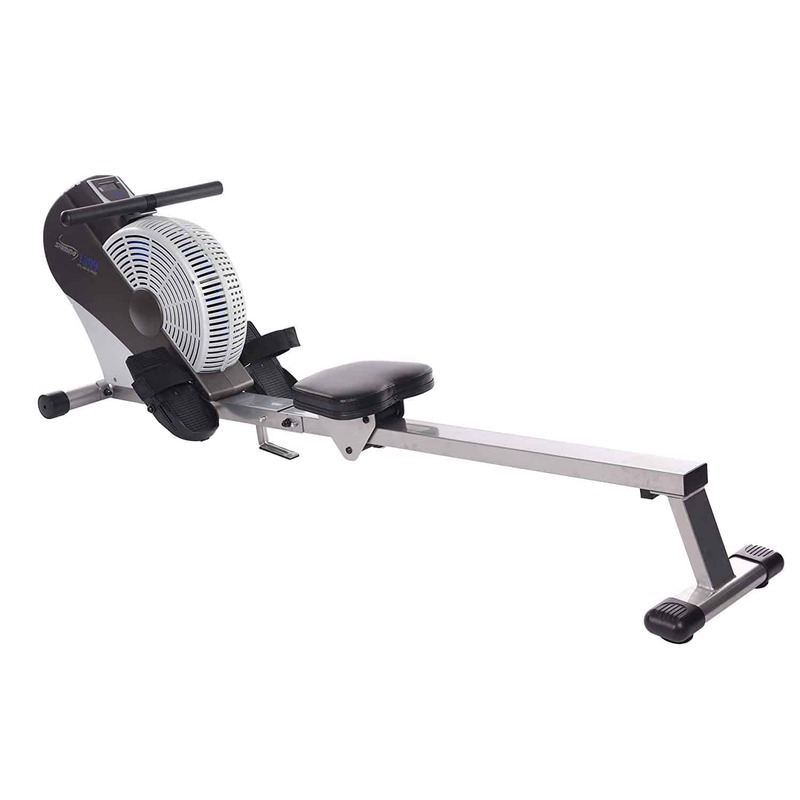 This Sunny rowing machine has all the qualities of a great workout tool that will make every exercise a challenging and fascinating experience for you. You get unlimited resistance from the flywheel mechanism inside SF-RW5713’s water tank. The heavy-duty paddles don’t only simulatethe variable resistance of outdoor rowing, but they also produce the lapping sounds of water. If you want stronger resistance, the secret is to row harder. For this reason, the resistance in water rowers is called variable resistance. If you want a heavier feel with each stroke, fill the tank with more water. That’s how water rowers work in essence. Sunny rowing machine[/easyazon_link] uses an R2 fitness meter with LCD to accurately track your workout’s total time, total strokes, room temperature, split time, distance, SPM, heart rate, and calories. You may use R2’s preprogrammed workouts or use it to tailor one for you. To add a bit of excitement to your workout, it also features a race where you can compete with a digital boat. Most water rowers are made of wood, but this Sunny rowing machine is made of lightweight, high-grade steel. What you get is a streamlined build that’s sturdy and durable without the extra weight or bulk. The paddles inside the polycarbonate tank are heavy-duty and made of non-corrosive hydro steel blades. The tear-resistant mesh belt is designed for vigorous pulling, so it won’t break on you. The machine supports up to 250 pounds of weight. Its 49-inch slide rail will accommodate even the tallest users. While we’re sure that SF-RW5713 will make a very good rowing machine for beginners, it doesn’t look like you’ll outgrow it any time soon. With high-density rubber wheels out front that leave no marks, moving it from one corner to another is a breeze. It stores upright and can be quite tall, but otherwise, its storage footprint is small. Beginners will find this piece of equipment quite easy to learn and a pleasure to work out on. Maintenance is simple, too. You will need to add purification tablets to the water in the tank every once in a while, but that’s about it.Some users find the manual adjustment of water levels—filling and siphoning of water from the tank—too cumbersome.High-end models have done away with this tedious step and use knobs instead. If you’re not ready to shell out thrice the price of SF-RW5713, however, then there’s really no cause to complain. For concerns on comfort, the handlebars have sweat-resistant grips. The seat is foam-padded and very generously sized. It’s also 17” off the ground, several inches higher than most rowers. The footplates are textured and have Velcro straps to prevent slipping. Variable resistance is fine—you can increase or decrease it on the fly without need of turning knobs. The downside though is that you’ll need to work hard to create strong resistance. Beginners don’t usually like that. What about you? If you prefer adjustable resistance levels, then Velocity Exercise’s CHR-2001 magnetic rower is for you. 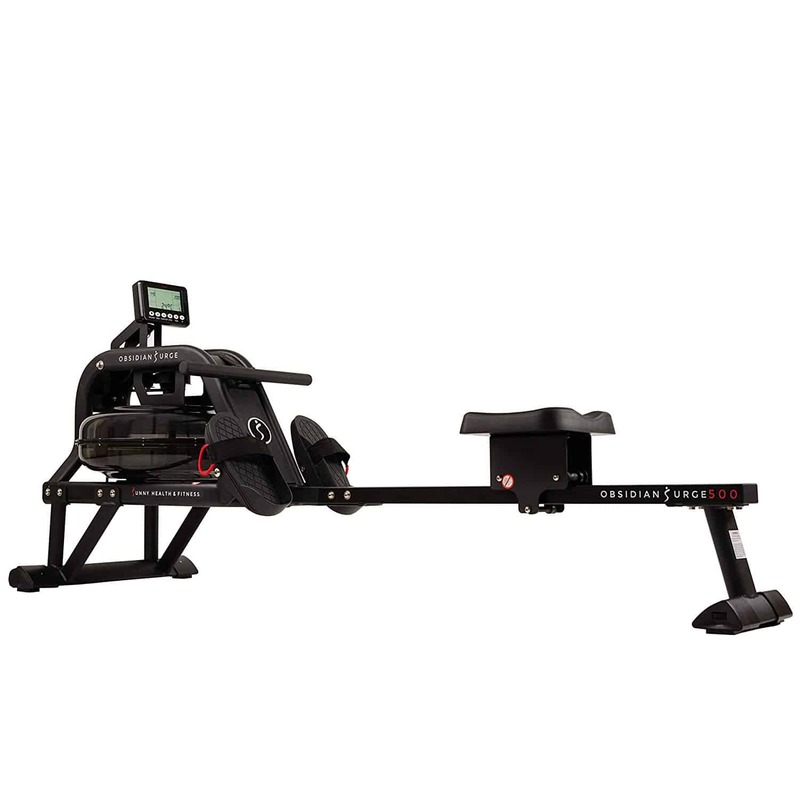 This indoor rower uses a magnetic braking system which it calls Drum Magnetic Control for resistance that’s easily adjustable, smooth, and very quiet. CHR-2001 has eight levels you can adjust to using the up and down buttons in the built-in monitor. This rowing machine for beginners features a 5-button multi-function fitness monitor to keep track of workout metrics. It will read your distance, time, count, SPM, watts, calories burned, and pulse. Viewing is easy with its back-lit display and convenient location between the footplates. You can access 12 workout programs using this fitness monitor. The programs include six preset, one target heart rate, one manual, and four customized workouts.It has a built-in receiver for detecting your heart rate. A heart-rate monitoring belt also comes with the package. There’s a downside to this, though. Since the monitor controls resistance and all, when it malfunctions, everything else won’t work. The frame of CHR-2001 is constructed of durable and lightweight aluminum. The seat rail is made of anodized aluminum supported by rectangular tubing for added strength.Its beam is longer than most models.However, the footplates are almost directly underneath the handlebars’ return position. This can be restricting for users with long arms because they may not be able to fully extend their arms forward. If you have long upper limbs, you may not have the full range of motion that you expect from this rower. Its maximum weight capacity is 275 pounds. The rail has a travel length of 40” so it should work for people with inseam of up to 40”. Its compact form is perfect for tight spaces or smaller areas at home. It folds up in a breeze and stores neatly. 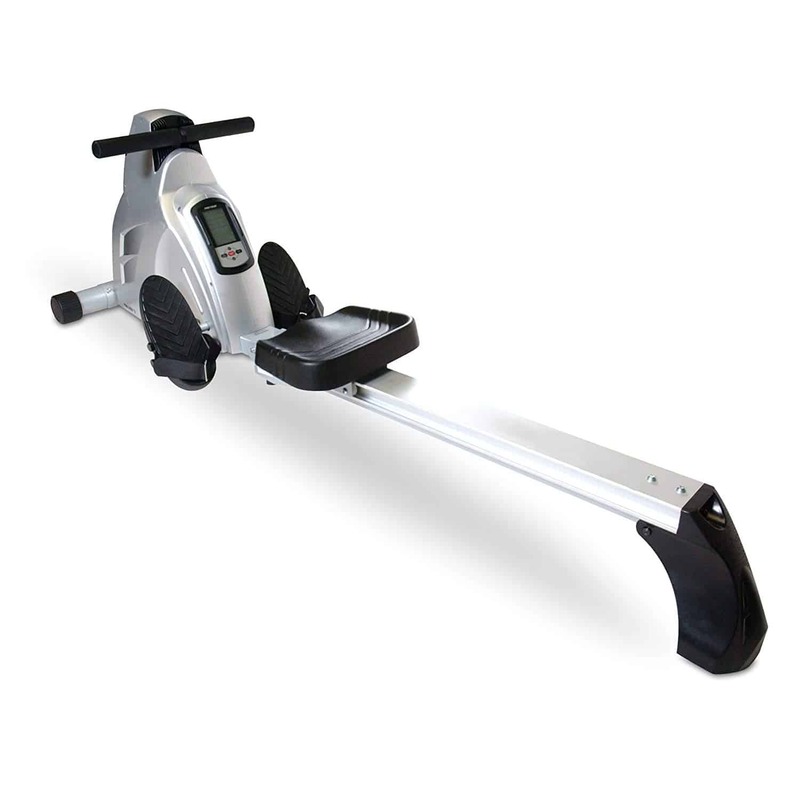 It won’t take beginners half an hour to familiarize with this ergometer as long as they know the correct rowing motions. CHR-2001 has non-slip fit-all footrests with Velcro straps. The footrests pivot to match your feet’s natural pivoting motion when pushing. The rowing handlebar and padded saddle are also made from high-quality materials for durability and comfort. Nothing seems to beat an air rower when it comes to variability of resistance. The first commercial indoor rowers were of this type. If you’re serious about indoor rowing, you must not miss the experience of rowing on air-resistance rower especially since you’re a beginner. You will also find out in other articles in this website that Olympic rowers do their off-season training on high-end air rowers. Stamina ATS 35-1399 is far from being a high-end model, but it’s one of the best rowing machines for beginners. Like water rowers, the resistance of 1399 is what we call variable. The faster you row, the stronger resistance you get. Conversely, the slower you row, the weaker resistance you get.This is variable resistance at work – no buttons to press or knobs to turn in order to change resistance settings. Whether you intend to compete in the future or just shed some weight, air rowers is the way to go. 1399’s monitor is possibly one of the most basic of erg trackers we’ve seen. It has a small readout on speed, distance, time, and calories burned. The display is small, showing only two of your workout data at a time. At this price point, you can’t actually expect advanced monitors. The frame is made of high-grade steel that supports an inclined, over sized rail. The rail’s slope provides more opportunity to work out your core and legs. A sturdy nylon pull spins the flywheel. Some users prefer a chain pull, but this nylon strap is as strong as it can get. It also reduces the noise somehow. Air rowers are known as the noisiest type, so having to pull a less-noisy nylon is a good thing. Still, this is a noisy indoor rower, make no mistake about that. Maximum user weight is 250 pounds and maximum inseam is 38”. Unlike the restricted forward motion in CHR-2001, Stamina’s ATS 1399 has no issues about that. The return position of the handlebar is way to the front of the footplates. It folds pretty small and has wheels for rolling to a corner or a storage closet. Folded, it’s only 48″ long,18″ wide, and 28″ tall. We find the upholstered seat as sturdy and comfortable. It glides smoothly. The rail’s incline bothers some users, but that’s part of the design. It increases the work that you’ll need to do. But that’s what workout is all about, so we don’t think it’s fair to remove a star for that.The texture of the hand grips adds to user comfort. The footrests are over sized and nylon straps keep feet steady throughout the workout. When buying a rowing machine for beginners it is important that you consider not only the ease of use that it affords a beginner, but also the more long-term qualities that it offers. Consider resistance type, durability, usability of the monitor, and overall quality. Each type of resistance mechanism will provide you with a different rowing experience. For this, we can’t understate the importance of knowing all the types and how they differ from each other. 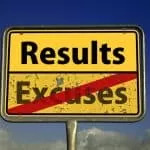 You might also find this article interesting: What is the best rowing machine for home use?